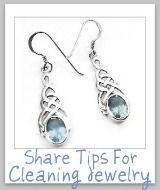 Read tips for cleaning pearls in jewelry or on other objects in your home. 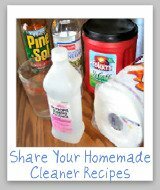 You can also share tips for how to clean pearls here. Make sure, with whatever tips you use, that you take care since pearls are quite delicate. If you've ever worn a strand of pearls around your neck you may notice that they start to collect some dirt and grime from touching your skin, makeup, etc. The same can happen with other pearls in jewelry, or adorned on other objects in your home. To bring back the natural luster and warm glow of pearls they need to be cleaned, but you don't want to hurt these fragile natural objects, since they can be both expensive and sentimental. 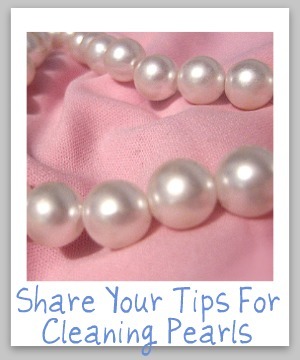 Therefore, I would love to hear your tips for how you clean and care for your pearls, to keep them looking their best. Pearls are beautiful, but to best bring out their luster they periodically need cleaning, so share your tips with me for how you do it.